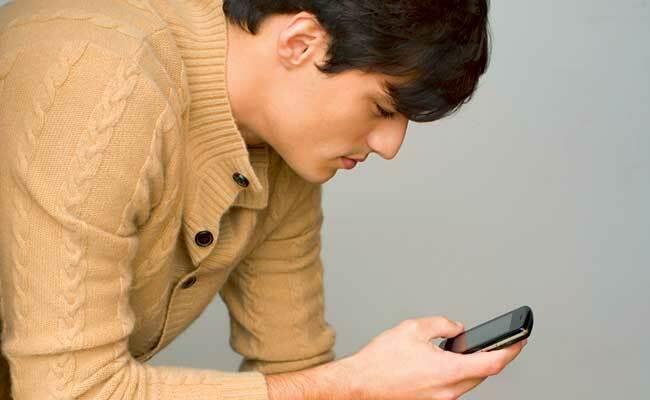 Tempted to constantly message your new guy? Put the phone down for a sec and learn when texting could actually do more harm than good. We know that once you've snagged that cute guy's number and you're on texting terms, it's hard to not send him messages before, during, between, and after class or work. But just because you can (and are dying to) doesn't mean you should. Casual electronic notes have become a huge part of dating, and experts speculate that texts have surpassed actual phone calls between many couples. So, it's no wonder you find yourself with an itchy text-messaging trigger finger (or thumbs, rather) when in the throes of new love. But beware: There's such a thing as too much texting (what you might call TMT). "Overdoing it can freak guys out," says relationship expert Arlene Krieger, PhD. "They feel pressured into sending an instantaneous response." 1. After your first few dates. It may be tempting to contact a guy after an amazing date, but resist the urge. "Reaching out lessens the thrill of the chase for him," says psychologist Diana Kirschner, PhD, author of Love In 90 Days. 2. When you're drunk. Since phones don't come with breathalyzers, it's up to you to stop yourself from sending a tipsy message—especially one that suggests you two meet up ASAP. "Being too available lets a guy know he has all the leverage," Krieger says. 3. When you're angry. It's annoying when a guy flakes, but sending a "Why haven't you called me?!" inquiry makes you look massively insecure. Avoid angry texts once you're in a relationship, too. "When it's in writing, you can't easily take it back," Kirschner says. It's even smart to ban bitchy humor, which can sound meaner than it is. 4. When you're trying to be funny. "When relayed nonverbally, sarcasm and joking can come off as aggressive," says Kirschner. A dude could read a message like "OMG, you were super wasak last night" literally, which makes you sound pissed when you were actually just fondly remembering his funny behavior. 5. When you've already texted him that day. Once you're in an ongoing relationship, you may be tempted to rely on texting as a regular form of communicating, and there's nothing wrong with staying in touch that way sometimes. But, electronic communication discourages phone conversations and one-on-one time. Also, guys like brief updates, not a blow-by-blow of your life.